If electronic music is your thing, then Creamfields 2019 is unbeatable. Widely imitated, never replicated, the original and best dance music festival! Tickets for this event are in high demand! 14 other people are currently viewing these tickets. Following on from another successful year, Creamfields 2019 is confirmed to take place, as ever, over the August bank holiday weekend. The festival will be held at Daresbury in Warrington, between 22nd and 25th August 2019, and will undoubtedly once again welcome the biggest and best names in dance music. Package (excluding the camping features) + free car parking. **Gold, Silver & Bronze tickets do not include pre-pitched tent. Fatboy Slim, Shy FX, Marcel Dettmann and more have been added. Find out how to bag Swedish House Mafia tickets. The DJ supergroup will headline for their only UK show of 2019. Find out how to bag Creamfields tickets. 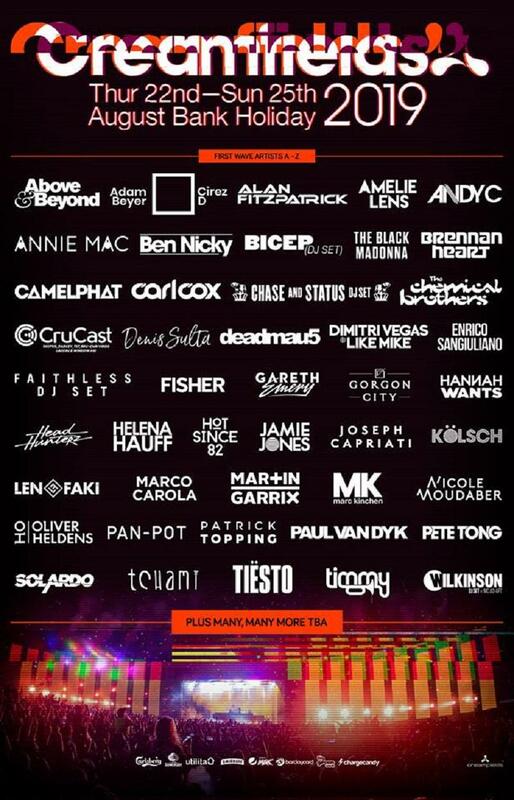 Creamfields dates and tickets have been revealed. Ellie Swain was there to witness more dance music fuelled magic and deliver her Creamfields review.